This is the 1/2-inch oval head, slotted 6-32 threaded set of 2 screws used on some versions of the Harrington & Richardson revolvers, instead of a single screw passing through the frame and threading into a press-fit nut in the opposite grip. 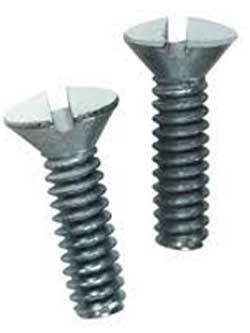 In some cases, a U-shaped metal bracket straddles the hammer spring, and provides two screw holes into which the two separate screws fit. H&R used various methods and grip frames on the same models of gun, so you must examine your own gun and determine for yourself which you have. There may be other models or brands which also use a No.6 32 TPI screw with oval head. 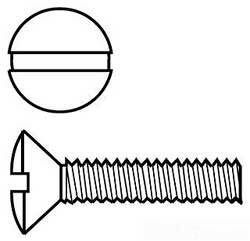 The screws are sold in pairs so when you order 1 unit, you get a set of two screws. The price is for a package of two screws.